Artistic Director Raymond Croce Proudly Presents Our Season – The Power Of Two! Running Friday & Saturday nights at 8:00pm and Sunday Matinées at 2:00pm through May 18th, 2019. If you live in Camden, you can take advantage of our special Camden Resident Ticketing Program. Tickets are $5 each. Purchase a 3-show FlexPass for this and the remaining two shows & SAVE $20 OFF the general admission ticket price. A little nutty, slightly profound, and replete with infectiously funny moments, makes “An Infinite Ache” both powerful and pleasant. A fresh and heartfelt play about love, time and the infinite directions in which two lives can travel. Hope and Charles are a pair of lonely twenty-somethings about to end a supremely uninteresting first date. But just as they say good night, the myriad possibilities of their futures and a life shared together come rushing to meet them. From their first kiss to their first child, from a horrible tragedy to a second chance, each moment moves with breath-taking speed. 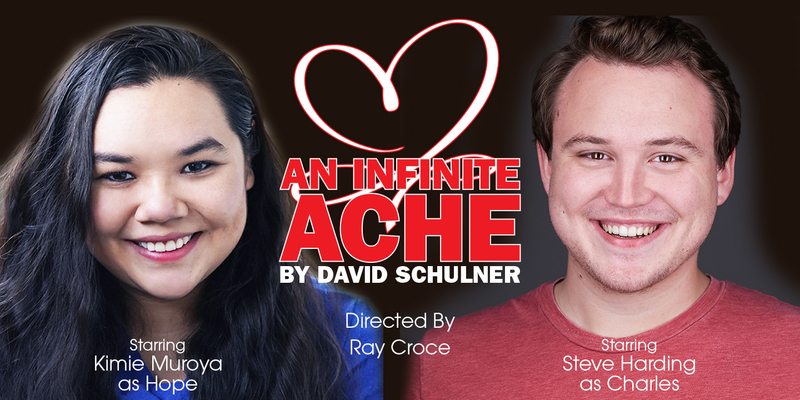 A love story told with theatrical flair, AN INFINITE ACHE is as dazzling as it is insightful. David Schulner (Playwright) is an American television writer, producer for New Amsterdam. His other series writing credits include the NBC’s series The Event, Kings, and Trauma; HBO’s Tell Me You Love Me; and ABC’s Desperate Housewives. The inspiration for David to write this play hit during a 17-hour road trip from Seattle to Minneapolis. We’re forever indebted to and inspired by him, for writing such a beautiful and ambitious script. Kimie Muroya | 室屋季美恵 (Hope): SCTC debut! Regional: No Exit The Foreigner, All Aboard: Theatre in the Classroom (Bloomsburg Theatre Ensemble); Sh*t Men Have Said (ReVamp Collective/Cincinnati Fringe); The Taming of the Shrew (Delaware Shakespeare). Philadelphia: Julius Caesar, The Wild Duck(Quintessence Theatre Company); Tale of the Phantom Ship (Temple University Sidestage/Philadelphia Fringe); The Secret Life of Wonder (Plays and Players/Mz. Fest); Caught (InterAct Theatre Company). Film: Antarctica (Upcoming). Training: Temple University BA 2016, Bloomsburg Theatre Ensemble Acting Internship, Arden Summer Professional Apprenticeship, Theatre Nohgaku. Upcoming: Regan in King Lear (Shakespeare in Clark Park). Steve Harding (Charles) is excited to return to the South Camden Theatre Company stage! 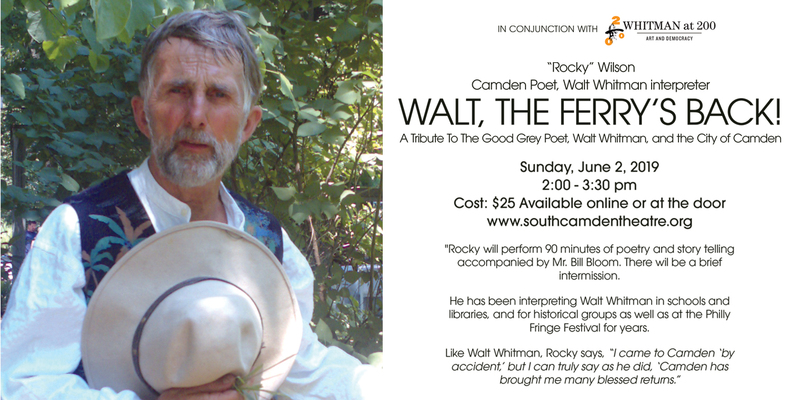 He previously played the role of Scotty in Ripcord and served as the German dialect coach for Crumbs from the Table of Joy at South Camden. Favorite credits include: Emcee U/S in Once (Arden Theatre), Merriwether Lewis in A Free Man of Color (Temple University Theatre), and Valere in The Miser (Stagecrafters Theatre). With the opening of the new Camden FireWorks, an artist loft space and gallery, and The Camden Shipyard and Maritime Museum, Brigid’s House and the soon to be completed Nick Virgilio Writers House along with the existing artist studio of Mickey McGrath’s BeeStill Studios, and Camden’s Center For Environmental Transformation, and the Heart Of Camden Michael J. Doyle Field House, there is quite a lot to see and do. Together we are building a strong community of arts, culture and family life here in the Waterfront South neighborhood of Camden. 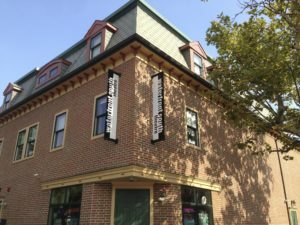 The South Camden Theatre Company is a 501(c)(3) nonprofit professional theatre company dedicated to helping revitalize the City of Camden, New Jersey by producing meaningful, professional theater in the City’s Waterfront South District. 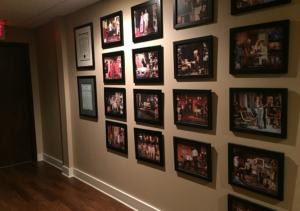 South Camden Theatre Company stages classic plays, comedies and original works as the resident theatre company at The Waterfront South Theatre. The Waterfront South Theatre is situated just a block south of Broadway and Ferry Avenues in the Waterfront South neighborhood of Camden. This gorgeous state-of-the-art theater was designed to be reminiscent of Walt’s Cafe, the corner bar, that once stood on this corner up until 1967. Today, 96 seats and thousands of theatre patrons a year have replaced the bar stools and shipyard workers that at one time called this corner of Camden “home”. Our wall of seasons. Images from all the theatre seasons since 2010. 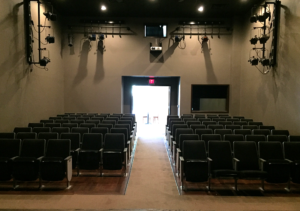 The Domenica Hall Auditorium. 99 seats. 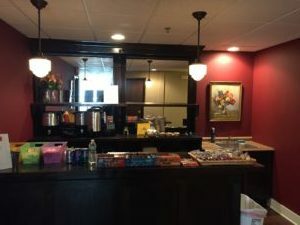 Completely accessible. 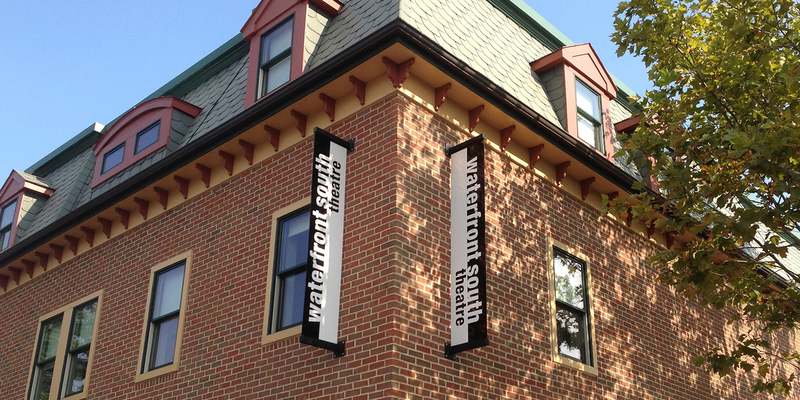 CLICK to learn more about the Waterfront South Theatre and how you can use the space.